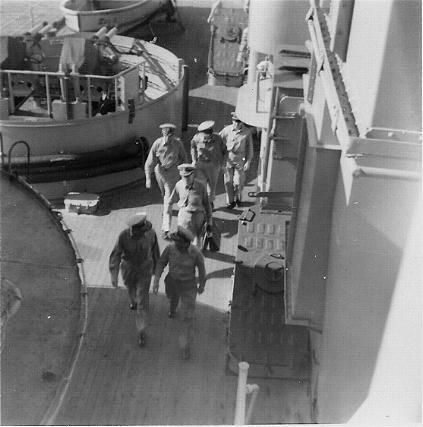 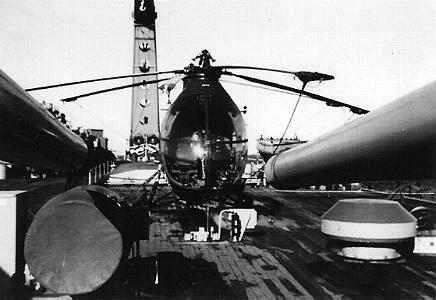 Welcome to the USS Helena CA-75, Black and White picture page number 6. 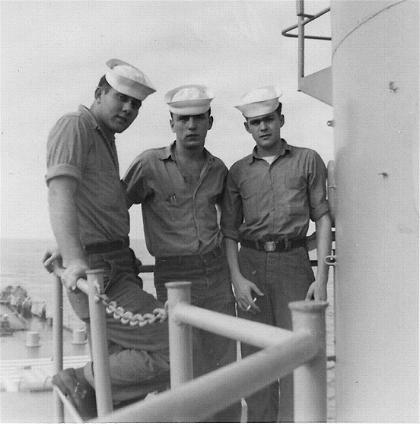 Harry Iovino, Stan Kula & Rick Ryan. 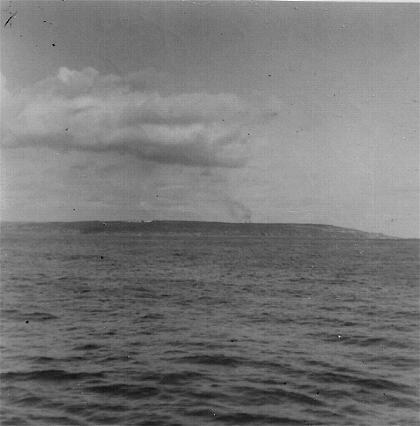 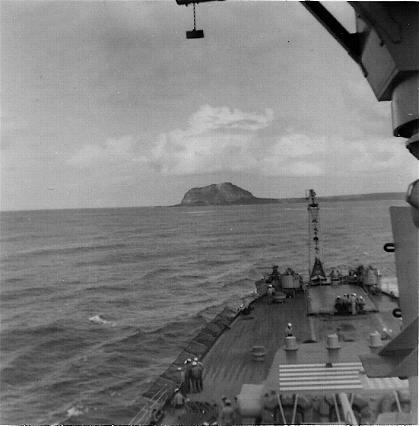 Most crew members did not know why we were circling the Island of Iwo Jima. 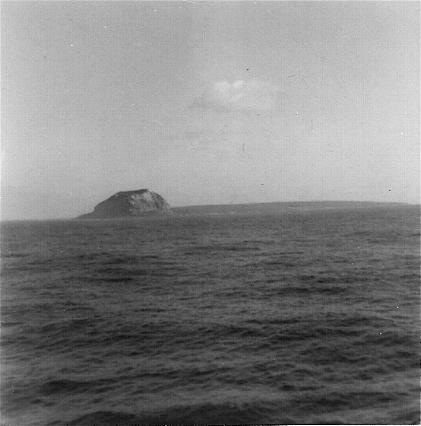 President Elect Eisenhower was on the island. 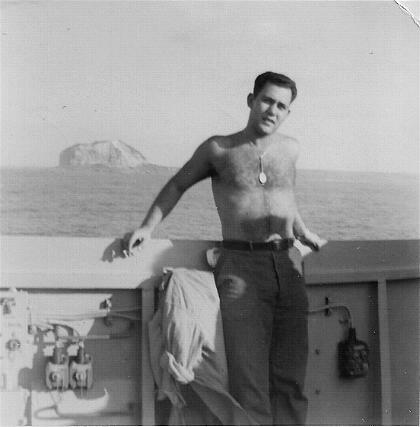 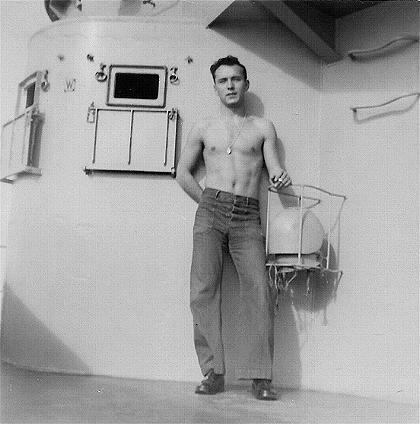 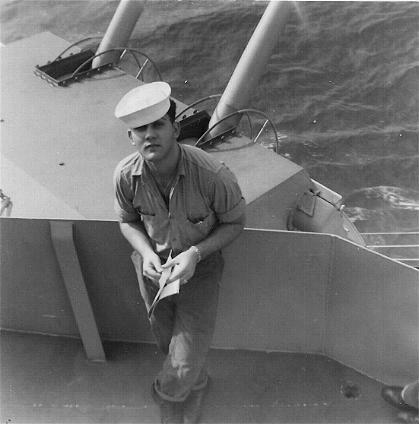 He came on board a few days later while we were in Guam and sailed with us until the Helena reached Pearl Harbor. 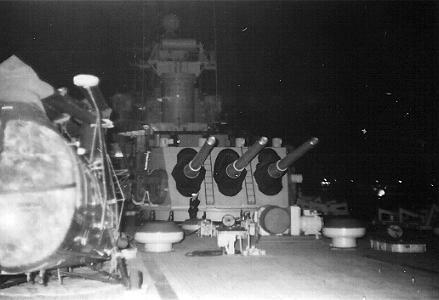 Much brass just before we took "Ike" aboard.